What is Good: Photo Card Creations $50 gift card GIVEAWAY! Photo Card Creations $50 gift card GIVEAWAY! "I love the simplicity of the lovely flowers thank you card! It's so sweet"
I just recently received some sample cards from Photo Card Creations and I was really impressed with the originality as well as the wide selection in which to choose from! I know I'll be ordering some customized cards very soon but I haven't decided yet if I'll be choosing birthday party invitations for Isaac's upcoming party, some personalized thank you cards, or wait until Christmas and order some Holiday cards. I have to admit that I just couldn't resist the urge to browse through the birth announcements even though I don't have any baby to announce yet! Oh my goodness, all the cards are so adorable! "Photo Card Creations is a leading online retailer of custom photo cards, invitations & announcements for all occasions." 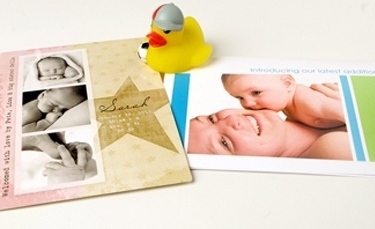 Coming this Fall Photo Card Creations will be introducing online custom design wizard. I'm really excited about this feature! After you find the design you like on their website you will be able to use the drop down menu options to easily customize the perfect card to fit your own individual personality! You can truly give it your own flare! Customers will be able to upload, instantly view, zoom, reposition and convert photos to sepia or black & white. You will also be able to fully customize text, change the font style, ink color and font size for your greeting anywhere on your card! 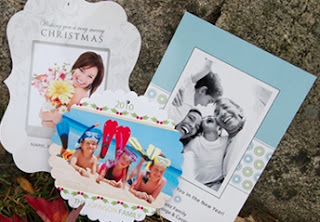 WIN IT: A $50.00 Gift Card to Photo Card Creations! This giveaway ends July 27 and is open U.S. Residence only! The winner will be randomly chosen and contacted via email and will have 48 hours to respond before a new one will be drawn. Thank you Photo Card Creations for supplying a gift card code for myself as well as one for my winner. I did not receive any other financial compensation. As always, all opinions are my own. Shaped Flat Card i follow gfc and my email is public on my public blogger profile. you can get to my profile by clicking my name ! ( gkbccb <- ) Ty for the giveaway! I like several of the designs but what I am liking most is the circle and scalloped shaped cards! Those are great! Thanks for a chance can't wait to win! I love the Colorful Mums Folded Designer Card. My favorite design is the Square Quad Jigsaw Card. We are big on our girls sending out thank you notes often, so I love the photo thank you cards! I'd order Colorful Mums Thank You Cards, but personalize them with my name. Hello! I follow ur blog now... Oh found ur blog on Monday Mingle Blog Hop! i commented on Family Fun Games at Round Table Pizza! i commented on Super Sliding Fun! i commented on Isaac wants to ride all day! i commented on Goofy Grins and Girly Giggles, She's 9! i commented on "what is good"
commented on what do i do now? I love the lovely flowers Thank you cards, but really I like all their floral designs. I like the endless dreams bday design.